I've noticed Jason mentioned something about filtering an FP brew through a paper filter which took ages and I thought I would start a separate thread to discuss this issue. 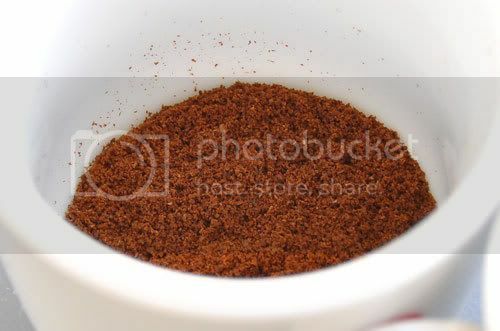 I was using 16g of coffee which is my dose for 300ml FP and 3g of it was pure dust, probably fine enough to use for espresso. Anyone else had similar problem with their FP brews? How have you been 'mechanically sifting' your grinds...? As i posted in another thread i find my M5 which is the same as the m4 very dusty too. Perhaps i should invest in some new burrs instead of extending my knowledge of britains microbreweries every weekend? 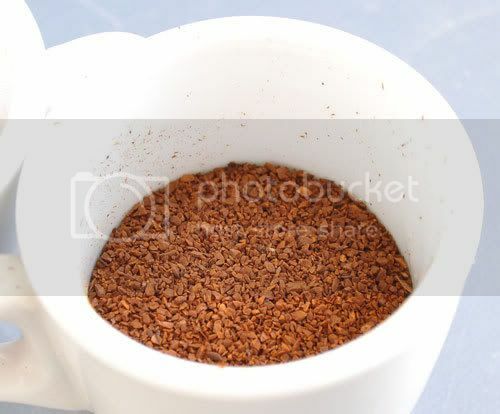 Would a tea strainer or sieve work well to separate dust from FP grind dyu reckon? Mate, I thought you meant you sifted the grounds once or twice as an experiment. Every morning is quite some dedication. 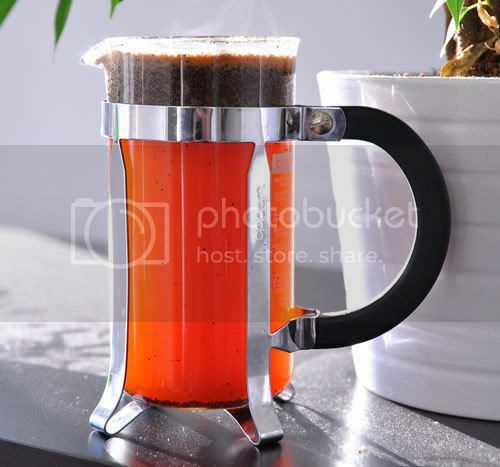 I can clog a paper filter with french press I've made gound with the Mahlkonig. I think unless you use a 3 phase Ditting you will struggle to get much better, you are seriously into the realms of diminishing returns upgrading from your Macap. Last edited by Bombcup on Sun Mar 29, 2009 8:52 pm, edited 1 time in total. Bombcup wrote: I think unless you use a 3 phase Ditting you will struggle to get much better, you are seriously into the realms of diminishing returns upgrading from your Macap.. I think even if you do (I mean, we do sometimes), you'll still get that dust enough to clog a paper filter. Melitta recommends a blade "chopper" because they say it creates very few fines. I haven't verified this and it's not a recommendation, but most folks have an old blade grinder kicking around somewhere and it would be easy enough to try. I can handle some dust (enough to clog a paper filter) but 20% is a huge amount. I know Jim from HB used a Kenia (or Guatemala) for espresso and couldn't get anything nice because there wasn't enough dust. Most people recommend the Baratza Virtuoso for FP but paying 200$ for a plastic 'toy' seems a bit excessive. Why is the dust generated anyway? is it the speed? the burr surface shape? I haven't got a blade grinder to test, but I have an old MDF back in Poland and I remember it was giving me very good brews when I was visiting my parents a few months ago (it couldn't really grind fine enough for espresso though when I still had my Gaggia Classic). From experience, a hand grinder would perform better when grinding for dripped/fp. well I'm not so sure, although an HB member in Sweden will check it for me:) The reason for me to doubt a hand grinder is simply because some of them can grind well for espresso which means they produce fines in quantities probably bigger than you want for FP. I agree that the build quality of the Maestro is plasticky and appears "toy like". Personally I wouldn't rule it out because of that. I have put 500g of beans per week through my Starbucks Barista (a close even more plasticky junior relative) for at least the last 5 years with no problems. Infact I've recently sent to Baratza for new burrs since I can't justify junking a perfectly good grinder because the burrs are worn. Mind you if you are rough or particularly clumsy you will probably break it. Maybe it would be a good idea to use coffee that is roasted a bit darker. Under roasted or very light roasted coffee, as I gather from the pictures, will acts completely differently from darker roasted coffee. e2a: to clarify. 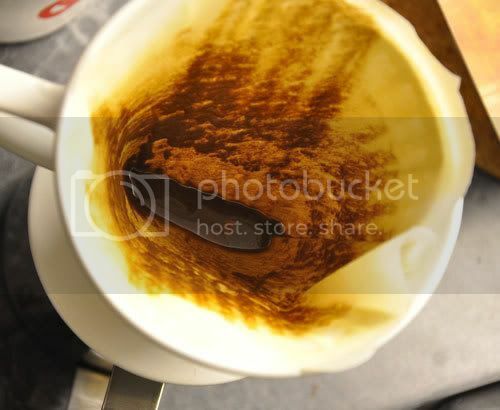 Where an unsifted FP grind in the Macap left a good smudged layer of sediment in the bottom of the cup (and a really powerful bitterness), the Mazzer's leaving fines that... well... look like leaves blowing across a parking lot. There are so few that I could probably count 'em, if I was really that bored. The difference it's made to a cup of Square Mile's Bolivian is indescribable! e2a: ok, I'm overwhelmed by this morning's FP Square Mile subscription... I'd backed off FP for a while, but this is an absolutely awesome cup... The Mazzer discovery has been a revelation! Many thanks for starting this thread, dsc! resurrecting an oldie for sure, but thought I'd add to what was written above. Had been having issues with brews for a long time now, tried various coffees from different places and every single time I was getting bitterish brews that tasted simply bad. Today I thought I'd try the sifting idea again, cause even though I have a Guat, smth isn't right. Used a tea filter as I had nothing else (the vibrating nozzle on the Guat helps with this, you simply grind in the filter and hold it against the vibrating nozzle to sift automatically). Results? damn awesome coffee! seriously a massive difference, I suggest anyone to try this sifting method at least once.